Join Overwatch’s fast lane if you’re looking to see Competitive Play before it gets rolled out for the rest of us. 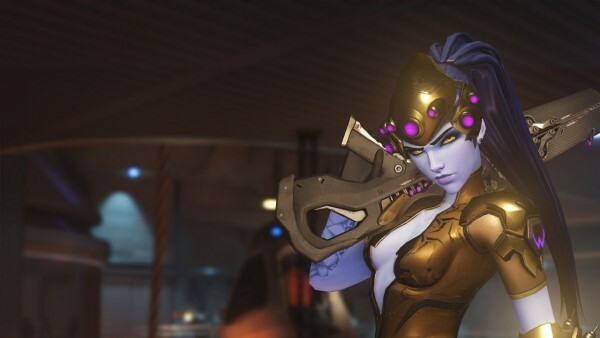 Blizzard has launched the Public Test Region (PTR) for Overwatch players in the West. It’s been live in South Korea for a while, that’s where we first saw these Gold gun camos. As with similar PTR-type environments, the goal is to test features on a scale larger than the studio’s internal team, before pushing them to the rest of the player base. Competitive Play is the prime example of this and the current focus. It’s available to anyone level 25 or above and up to 10,000 players can be in the PTR concurrently. To start playing Competitive Mode, you’ll need to first complete ten placement matches to get a skill rating assigned to you. From there, you’ll be matched against players of similar skill rating, just like Blizzard recently revealed. PTR servers are located in the Americas region, but access is open to players from all over the world. In addition, progress won’t transfer over between PTR and the live game, for obvious reasons. PTR is available only to PC players, but Competitive Mode will be coming to PC as well as consoles. See this page for details on how you could join the PTR.